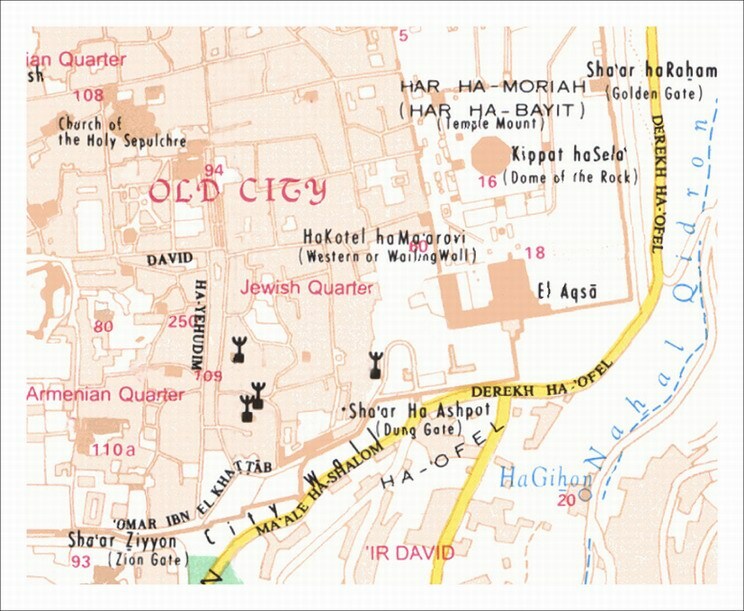 The Jewish Quarter is situated in the Southeast part of the Old City. 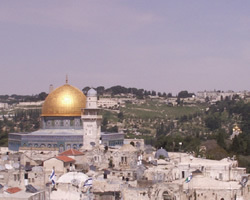 It borders with the Temple Mount ("Har Habayit") and incorporates the Wailing Wall ("Ha'kotel") and the City of David ("Ir David"). When you exit the neighborhood through Zion Gate, you will reach Mount Zion ("Har Tziyon") and the Tomb of King David ("Kever David"). The buildings of the current Jewish Quarter, which look almost brand new and sparkling clean, cover sites and relics dating to roughly 1400. A few stairs may bring you to discoveries from the Second or even First Temple period. The oldest synagogues, the Eliyahu the Prophet and Yohanan Ben Zakkai, are roughly 400 years old. In 1967, when Jerusalem was reunited after the Six Day War, the Quarter was restored. Some houses were restored and new buildings were erected to replace the ruins. Today, the Jewish Quarter is an upper-middle-class neighborhood, with an almost exclusively Orthodox Jewish population largely from America.